Compatible with ACT 2000 and ACT! 6.0 and Outlook 2000 SR-1 and above, Outlook 2002, Outlook 2003 and Outlook 2007! The purpose of ACT-To-Outlook Professional is to provide users with a tool to quickly convert, update, and transfer an ACT! Contact database into Outlook Contacts. Powerful update and selection options makes this product ideal for anyone that wants to keep Outlook updated from ACT!. 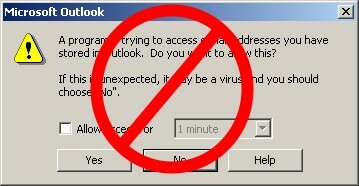 · Inclusion of Outlook Cleaner. Clean your outlook folders rapidly with the click of a button. · Auto-Map generation of all standard and user defined ACT! fields. · Single Click Conversion. Use either our standard field mapping or setup your own customized field mapping. Click on a button and convert all the contacts. · Active Lookup Support. Convert the Active Lookup in ACT! with a click. Also, convert single contacts as well as groups!. · Integrated with Outlook. Closely integrated with Outlook for easy of use and fast conversions. In addition, you don't get the persistent Outlook security warnings during the conversion. · Convert Single Contacts, ACT! Groups or the whole database. Convert selected contacts from the ACT! database, convert an ACT! group or convert the whole database into Outlook. · Custom Field Remapper. Convert standard fields or custom fields from ACT! into Outlook User properties. · Background Processing. Setup ACT-To-Outlook Professional to convert data at scheduled times. · Unique Duplicate Identifier. Once a database has been converted, ACT-To-Outlook Pro establishes a unique 1-To-1 relationship between the ACT! Item and the Outlook Item. · ACT! Items Converted. History, Attachments, Notes, Calendar, Groups, Standard Fields, Custom Fields, To Do's, Meetings, etc..